This is straight from the 3DVIA tour and after going through the rest of it I must admit that I was none the wiser. The last point about creating mobile marketing apps intrigued me since we all know how paranoid Apple is when it comes to letting people create apps for its devices. Surely they couldn’t have given Dassault Systemes the ability to let anyone create an iPhone and iPad without them approving it. 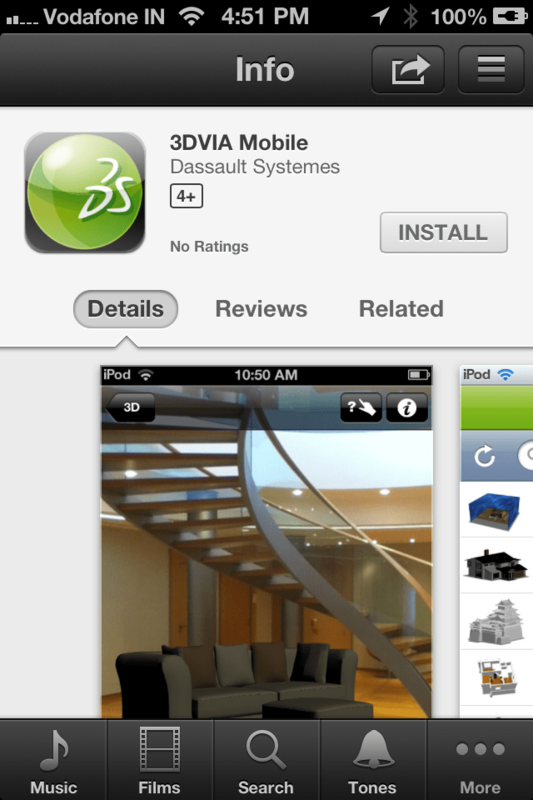 And yet that is what Dassault Systemes seems to be telling people in the 3DVIA tour. 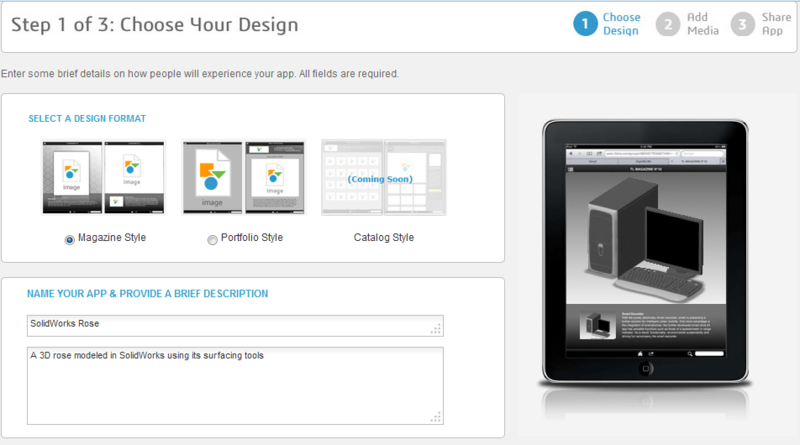 The 3DVIA apps page had a section inviting me to creation something called a “3DVIA Spotlight”‘. 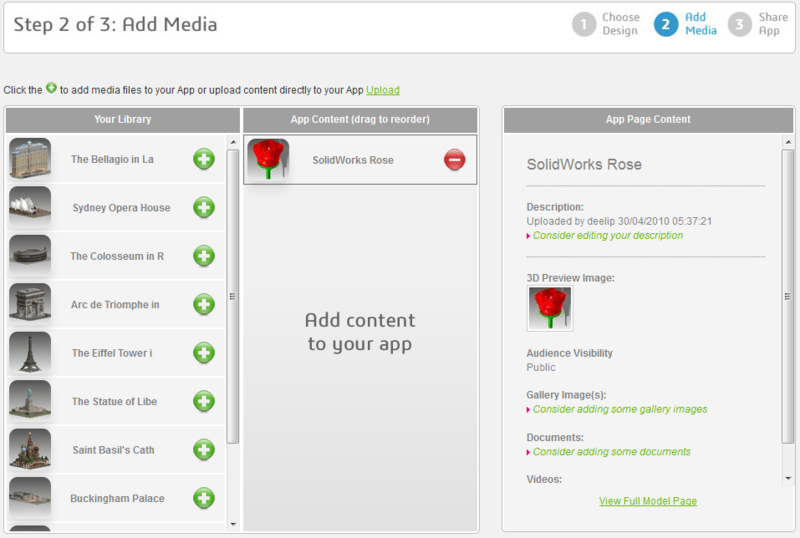 It mentioned something about creating a HTML5 app for the iPhone and iPad in minutes without needing to have any designing or programming skills. The keyword here is HTML5 as you will see later on. I decided to play along and proceeded to create a spotlight project. I was presented with three choices. Click the images in this blog post to enlarge them. I picked the first option. As the first step of a simple three step process I had to choose my design. I could pick between magazine style and portfolio style. There was something called catalog style which was “coming soon”. I picked magazine style and proceeded to the next step where I was asked to add my media. 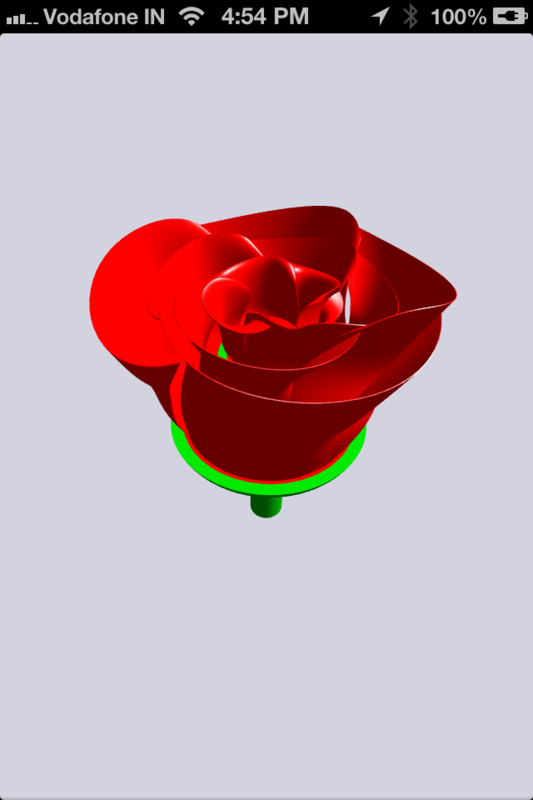 I already had a 3DVIA account and had previously uploaded my SolidWorks rose to it. So I added it to my “app”. And that was it. My “app” was ready. The third step simply involved me entering up to five email addresses to let people know about my “app”. I also noticed an app URL on this page. I entered my email address and 3DVIA sent me this email which I opened on my iPhone. 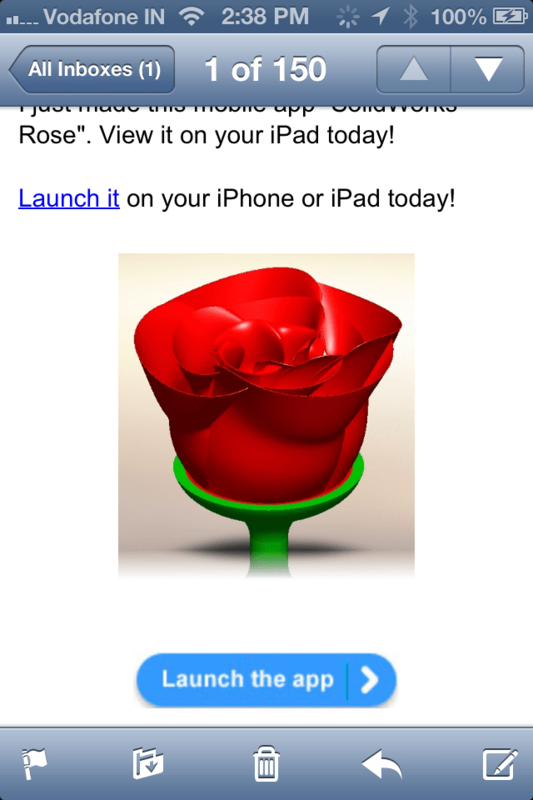 I tapped the “Launch the app” button in the email and as I suspected it pointed the iPhone’s browser to the app URL where it showed me this mobile styled web page. Swiping the screen slid the browser to another part of the web page where I saw this. 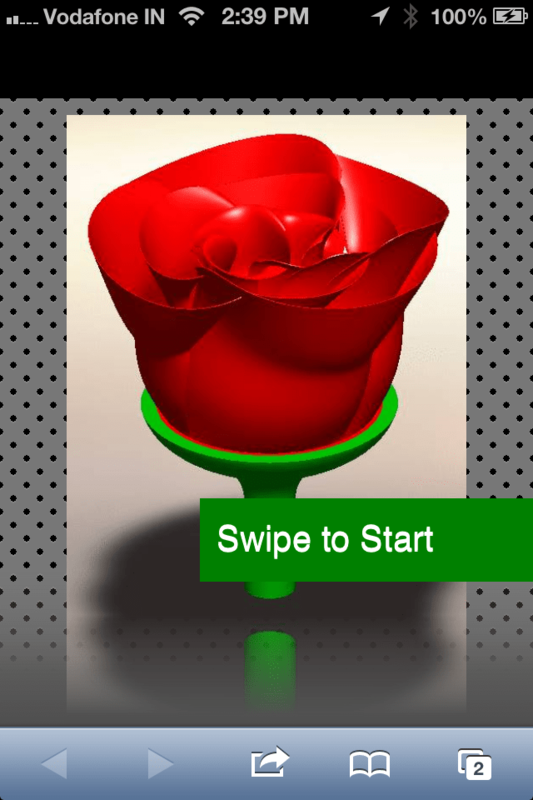 I tapped OK and proceeded to download and install the free 3DVIA mobile app on my iPhone. 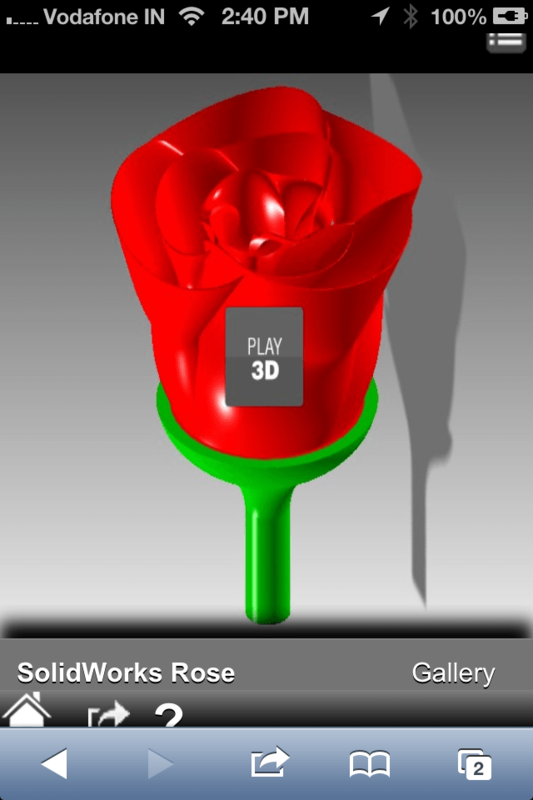 After installing 3DVIA mobile I was able to view my rose in all its 3D glory. So 3DVIA’s “mobile marketing app for the iPhone and iPad” actually turned out to be a web page, which can be opened in any browser on any device. 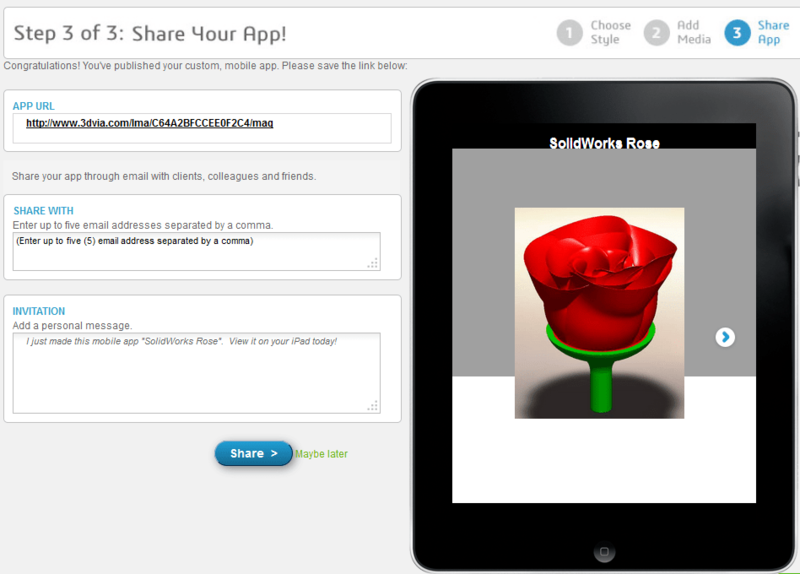 Then depending on whether you have the 3DVIA native app for that platform or not you will be able to “experience” the 3D model or stare at its picture.